These Sweet and Spicy Jamwiches are the perfect EASY holiday appetizer! 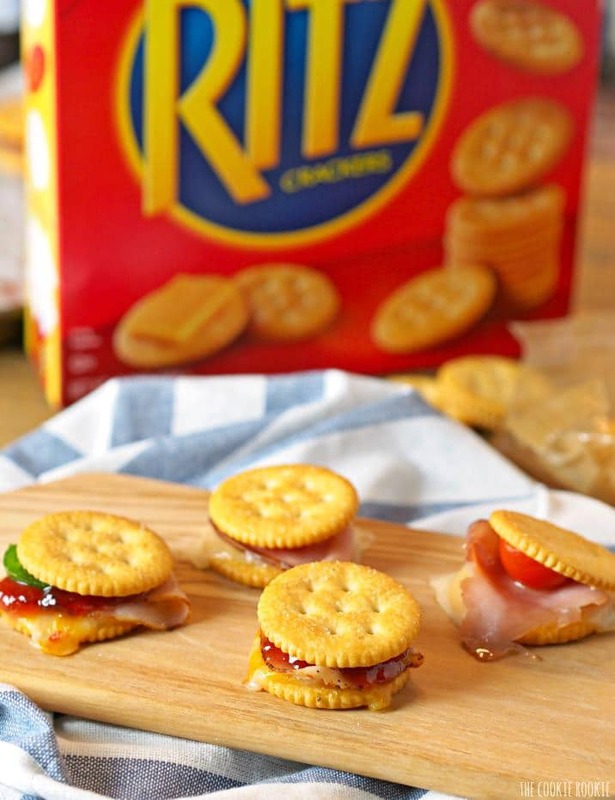 Ritz crackers make the perfect “bread” for these fun and pop-able sandwiches! We are coming up on the absolute best time of the year for foodies!! November and December are a food lovers dream. Holidays mean parties. Parties mean friends and family…and FOOD. Lots of delicious appetizers, drinks, and desserts. Loosen your belts and come to the table. It’s about to get delicious around here! 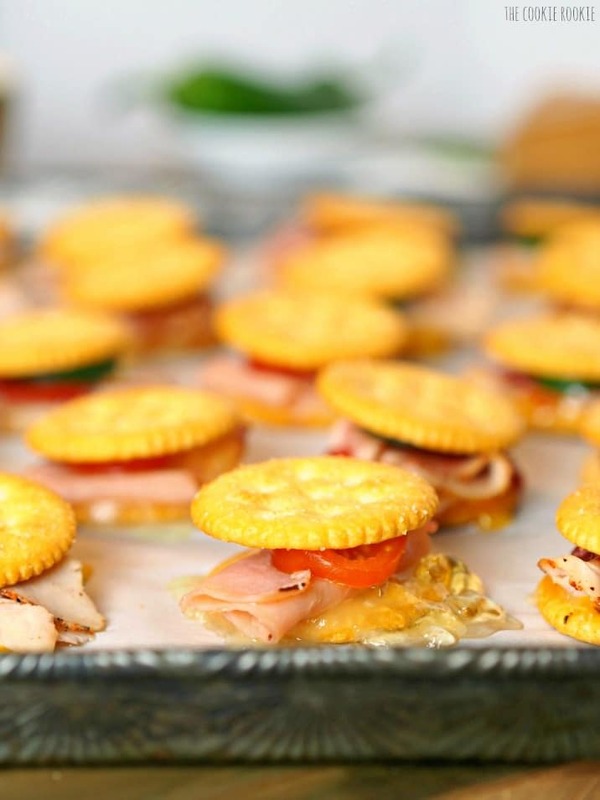 When Nabisco asked me about my favorite holiday party tips…a couple came to mind right away. Find quick and easy recipes that you can 1) make ahead and 2) make a lot of. There’s nothing worse than trying to get ready for a party while also rushing around the kitchen at the same time. 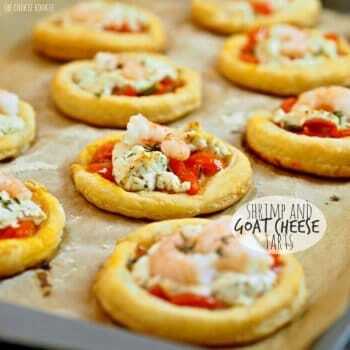 If you have enough easy appetizers made in advance…the party is that much easier. Wouldn’t it be nice to have time to look cute AND to serve delicious eats all at the same time! That’s what easy recipes are for. 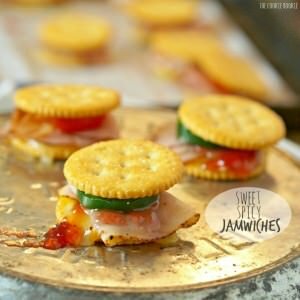 These Sweet and Spicy Jamwiches are my new favorite recipe for just that. 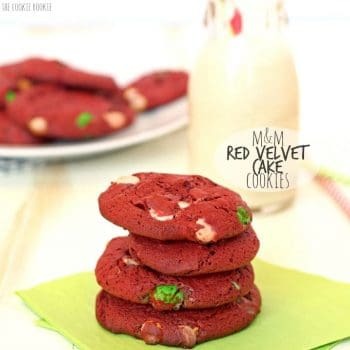 Make them in minutes, then concentrate on having a good time with friends. It’s that simple. 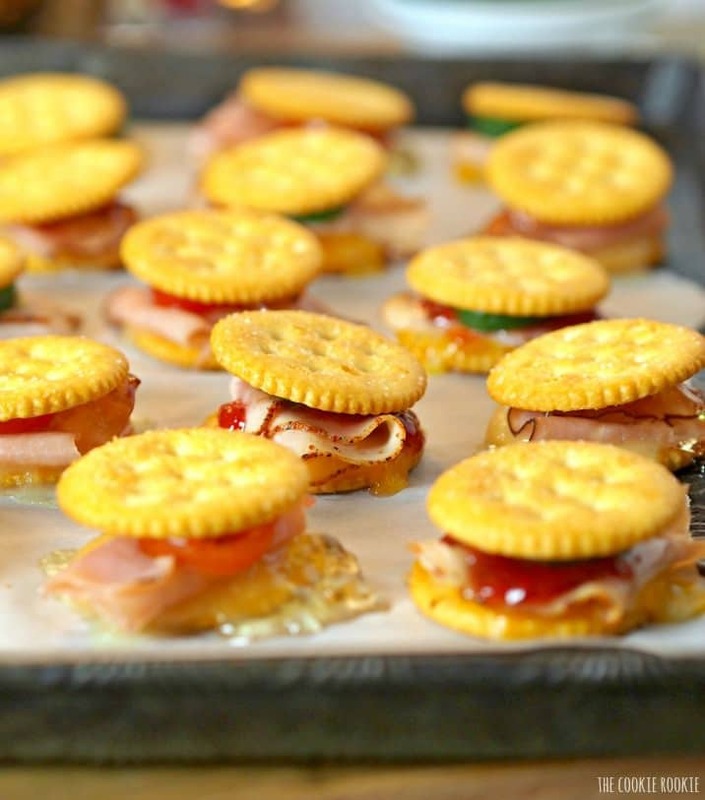 I adapted this recipe from a favorite I found on Nabisco’s Pinterest Page. There are SO many good holiday recipes there. 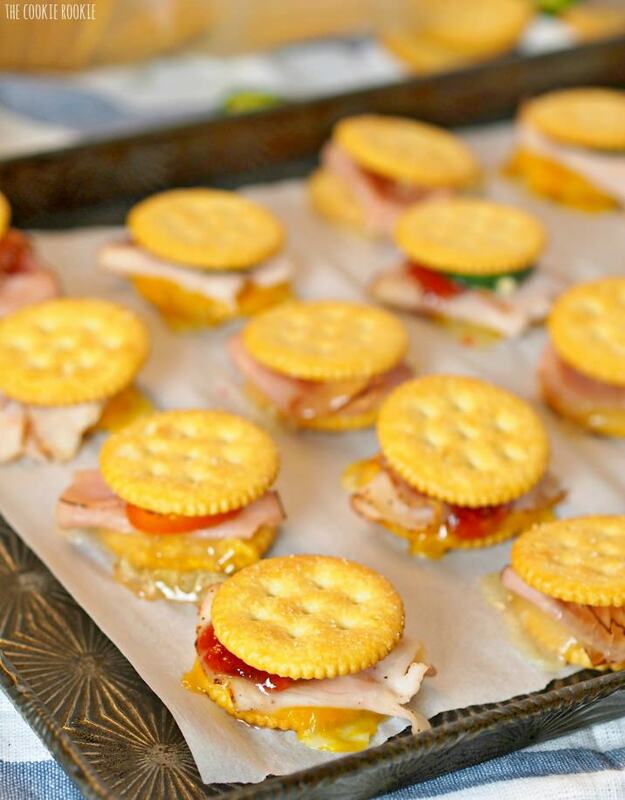 Absolutely perfect recipes for your next Holiday Appetizers Party!! That one in the middle. That’s the one I want. Now. Here’s where it gets REALLY fun. The holidays mean fun food and parties, but they also mean GIVEAWAYS! You can enter to win $1000, and all you have to do is comment on this post! Is it really that easy?? Yes. Nabisco will randomly give away $1000 in their Holiday Comment to Win Sweepstakes! See below for more details. Happy Holidays to us all! 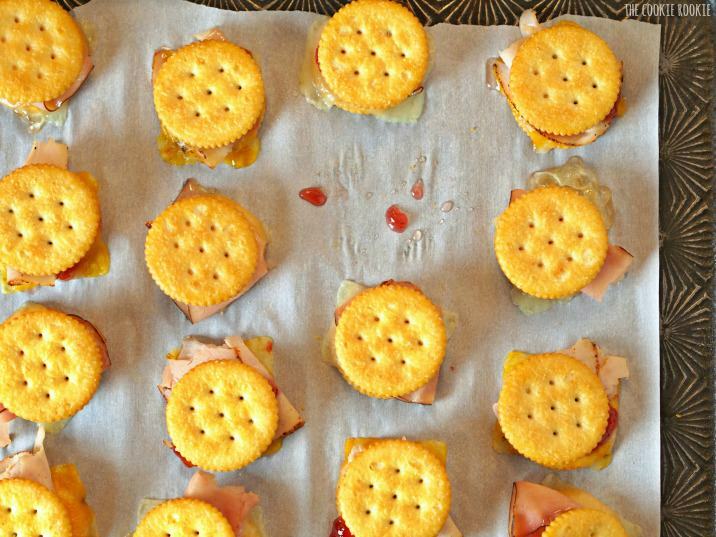 These Sweet and Spicy Jamwiches are the perfect EASY holiday appetizer! 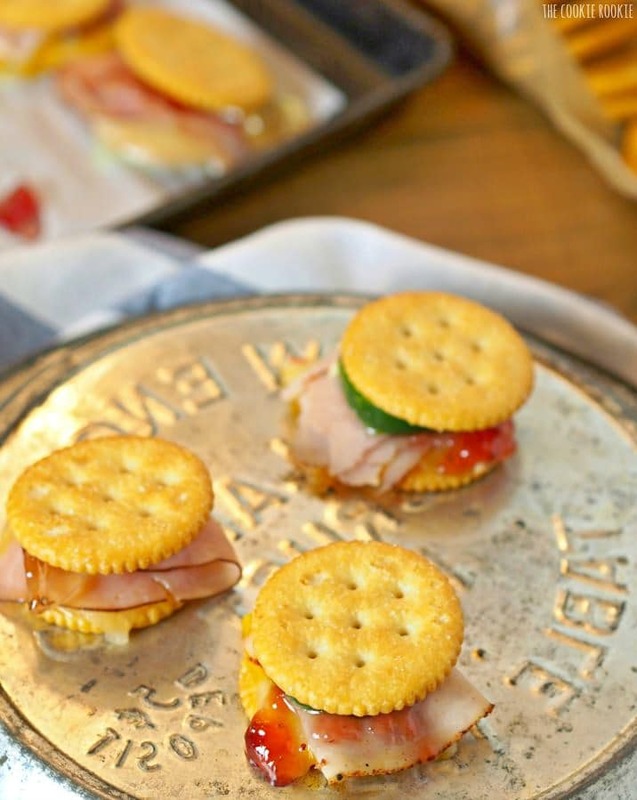 Ritz crackers make the perfect "bread" for these fun and pop-able sandwiches! Place 16 of the crackers on a lined baking sheet. These remind me of the jalapeno jelly my brother makes. The sweet & spicy combo is surprisingly good! I’m so glad I found your little corner of the internet recently. I now spend my mornings at work drooling over your blog! That is so sweet Alyse! Thanks so much for stopping by, made my day! I LOVE the chicken and white cheddar idea!! Yum. I’ve really started to get into the jam with something savory thing – it’s just so good! And I would happily pop a few of these straight in my mouth – they sound delicious! I agree! Sweet and savory, the best! Love this – I LOVE the holidays. When I was growing up, my mother would prepare for up to 2 weeks for our annual Christmas Open house. I still remember helping her. It was our gift to our friends, family and neighbors. Thank you for the share!